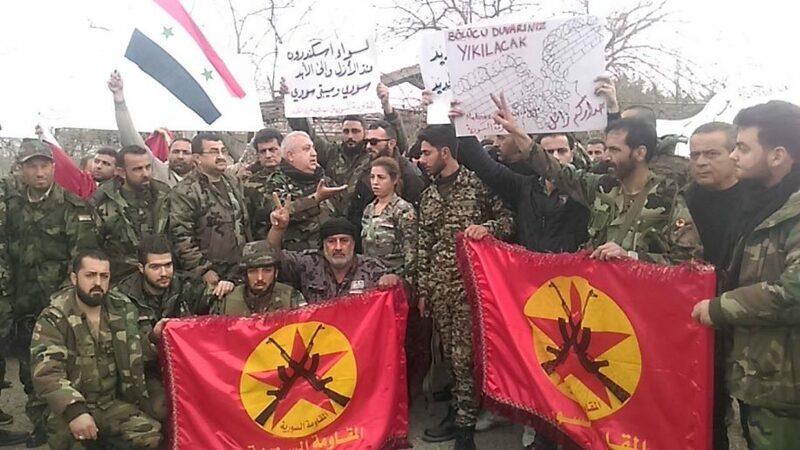 Western interventions in Syria are illegal, and so is the uninvited armed incursions by its neighbor Turkey. Two-faced Erdogan is playing a dangerous game by pitting Russia and the West against each other, while silently grabbing as much territory it could get from the militarily inferior Syrians. 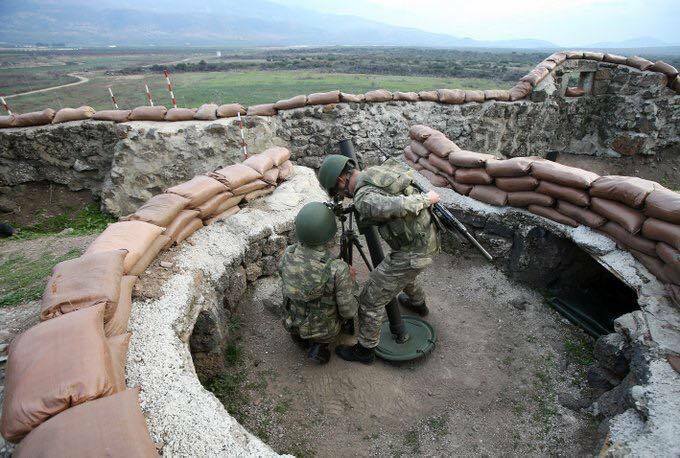 Erdogan is doing this by threatening to remove the US military base inside Turkey if the latter continues to help the Kurdish minority, who are now helping Syria in its fight against Daesh in the latter’s Northern border with Turkey. 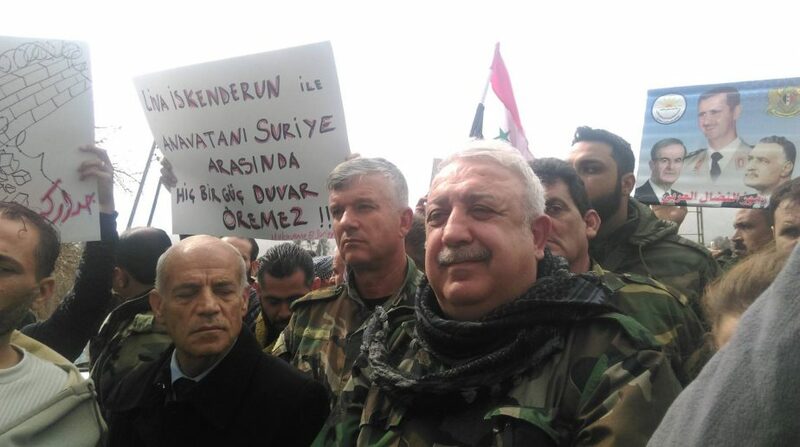 At the same time, Turkey is also pretending to help the Russian efforts to get rid of Daesh to justify its own illegal incursion into Syrian territories, while actually trying to get rid of the “terrorist” Kurds, and purposely, to acquire more real estate in the process. 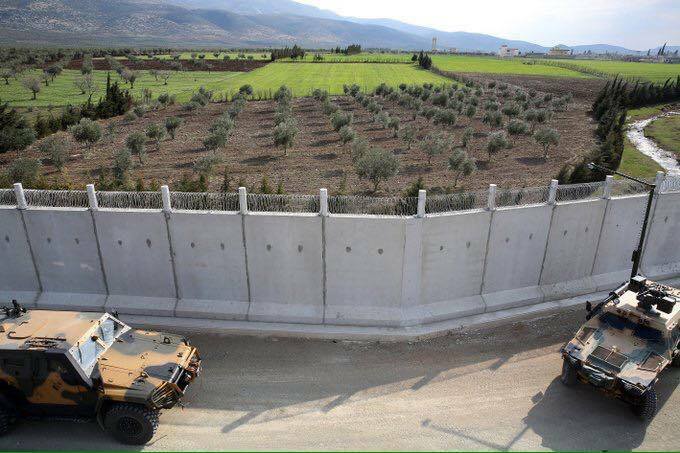 Photos and videos have surfaced showing that Turkey is building a border wall that is already encroaching into Syrian territory in Idlib province, with help of ISIS militants. Exploiting the situation which Syria is in right now is not only cruel and monstrous, but bereft of any semblance of humanity whatsoever. 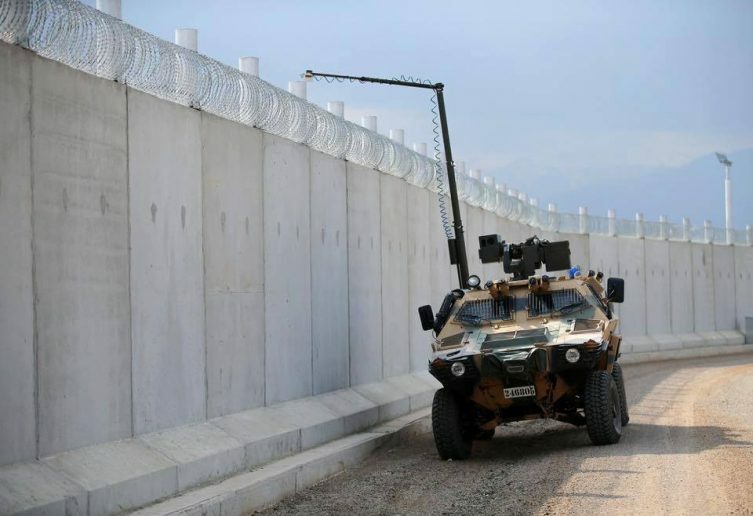 Turkey has finished building a large part of the wall dividing Syria and Turkey. 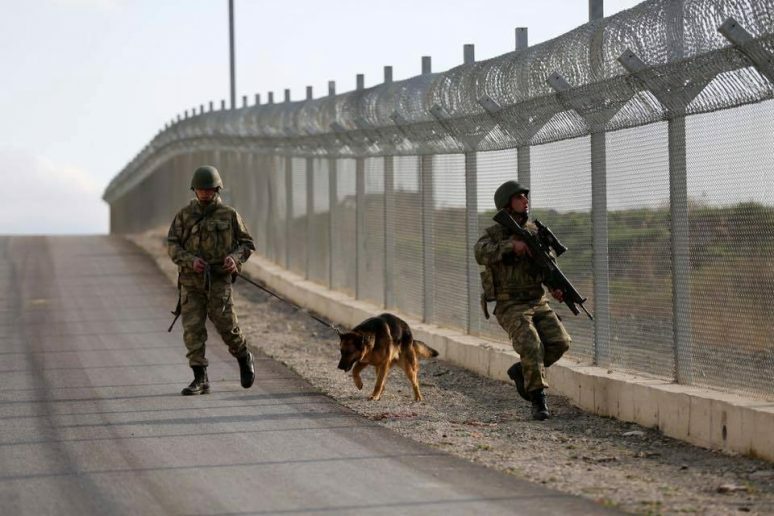 Turkey says the wall is built between Turkey’s Hatay province and Syria’s Idlib province is to prevent terrorists from smuggling in and out of Syria. Days ago, locals in Idlib protested against the construction of these walls. A video and photos emerged demonstrated people protesting against this wall as it penetrated into Syria proper, effectively annexing Syrian land into Turkey. 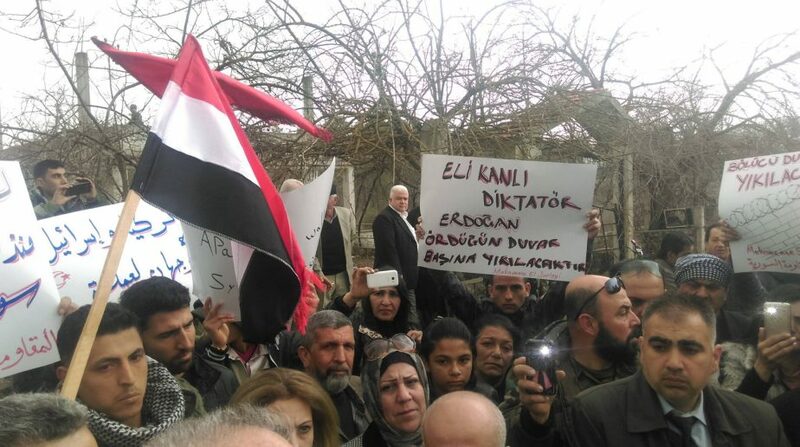 What used to be a pro-Turkish Idlib resistance fighters and civilians are now turning against dictator Erdogan. Here are a few shapshots of their protest against the illegal annexation of their lands. That ground-based evidence are not being shown inside Turkey and elsewhere. Before this show of desperation, ISIS Chief Al-Baghdadi made a “farewell sermon” urging his fellow mercenaries to lie low for a while, as per instruction from the ISIS Godfather John McCain. 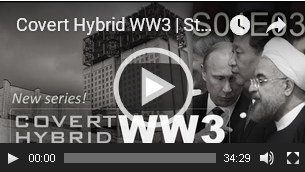 Like any other armed interventions of the Turkic Khazarian Jews, they are multiplexing these war efforts with “humanitarian” propaganda, from time to time. MOSCOW (Sputnik) — According to the Daily Sabah newspaper, the found pilot has been injured. He was first taken to the gendarmerie and then hospitalized, the NTV television channel reported. 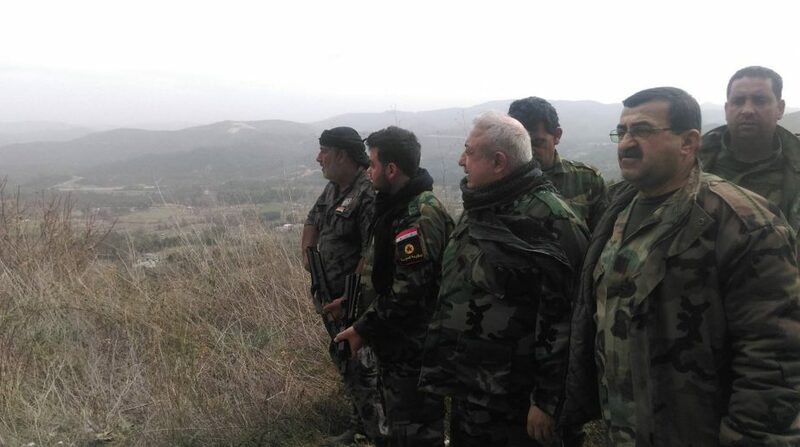 The news comes after the Syrian army said it had lost contact with a jet performing a reconnaissance mission near the Turkish border. The military was also said to be looking for a pilot who had ejected, according to the Syrian news agency SANA. It is estimated that at least 40,000 people are being displaced by Turkish operations inside Syria [here]. 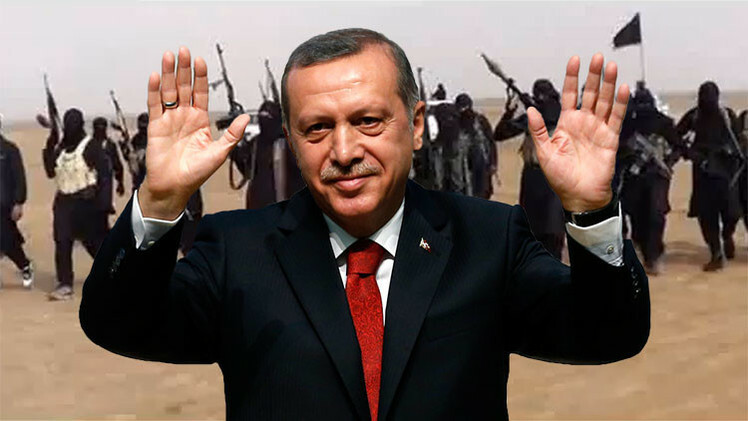 Why is Turkey doing the same thing as ISIS does? The only explanation is that this Turkic people are just conniving with their Khazarian brothers in grabbing as many sovereign resources as possible. … Khazarians become known to surrounding countries as thieves, murderers, road bandits, and for assuming the identities of those travelers they murdered as a normal occupational practice and way of life. 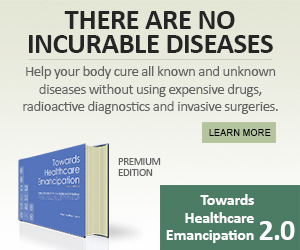 Indeed, the situation in Syria is still dire owing to a clash of vested interests in the region, and will continue to be the case until the Turkic Khazarian Jewry, who have the glaring propensity to build walls on lands not of their own, is fully neutralized by simply taking out its leadership structure. You have a lot of wisdom in most of the posts you put up but please consider this historic linguistic fact….The Hebrew word for man is ISH and then observe all the Nations so named on the end for they stand out as Hebrew or Hebraic. Jeffery kind of an idiot arent you?